For an alternative to traditional brilliant cut diamonds, head straight for the linear luster of emerald cut diamonds. Emerald cut, not to be confused with the vivid green gemstone of the same name, is a diamond cut known for its beauty and precision. An increasingly popular shape for engagement rings, emerald cut has charmed its way onto our fingers and into our hearts. Find your emerald cut diamond. Emerald Cut Diamonds: Why the Long Facet? It’s not hard to see the appeal of emerald cut diamonds. Elegant long lines give them a look of subtle sophistication, while beveled corners add a touch of timeless glamour. Elongated facets intersect the lower portion, or pavilion, of the diamond, creating a mirrored effect that results in dramatic flashes of light. 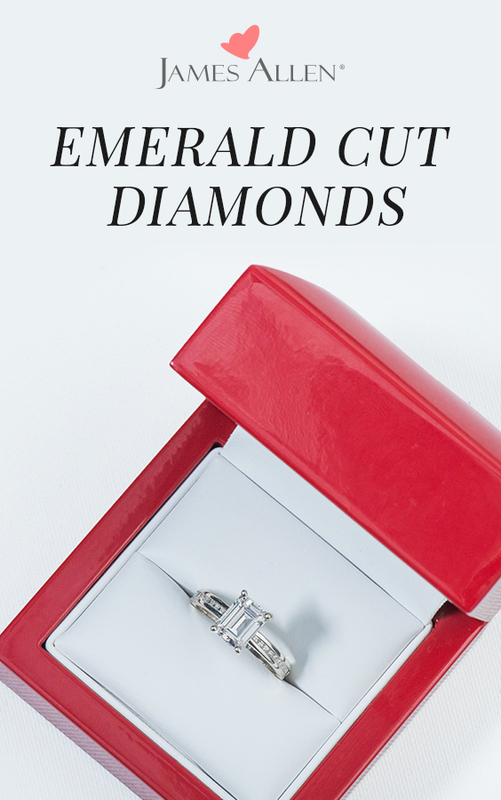 The emerald cut diamond is so named because this style of cut was originally reserved for — you guessed it — emeralds. It’s created using a step cut, which is most commonly associated with square or rectangular diamonds. Unlike brilliant cut diamonds, which are distinguished by triangular and kite-shaped facets, step-cut diamonds have rows of long, narrow facets that resemble a staircase. Thanks to their unique formation, emerald cut diamonds possess a glacier-like clarity, the likes of which you wouldn’t find in a brilliant cut stone. Who Rocks Emerald Cut Diamonds? Celebrity engagement ring trends show that emerald cut has overtaken oval as the fashionable go-to among celebs. 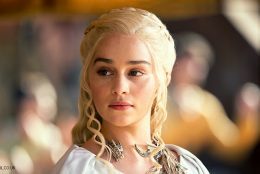 Those flashing the cut include Liv Tyler, Kristen Bell, Sarah Jessica Parker, Anne Hathaway, Hayden Panettiere, and Amal Clooney. But perhaps the most eminent emerald cut belongs to Beyoncé. Hubby Jay Z lavished the pop diva with an eye-watering 18-carat flawless diamond. Nothing but the best for Queen Bey! Flaws, or inclusions, are more noticeable in step-cut diamonds, so it’s well worth investing in a high clarity grade. Pay attention to diamond color, which tends to be more prominent in less sparkly stones. 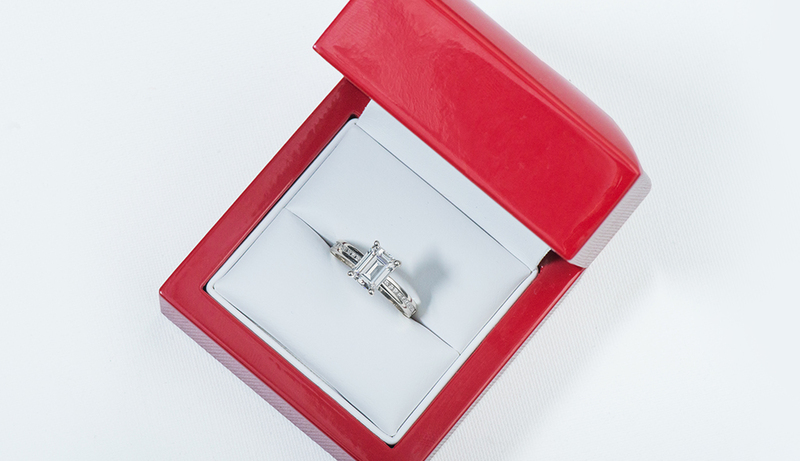 Emerald cut diamonds can be set vertically or, for a more original look, turned ninety degrees on their side (this is known as the “east-west” setting). 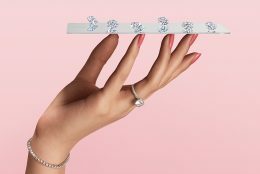 Step-cut diamonds will usually cost less than their brilliant-cut cousins. 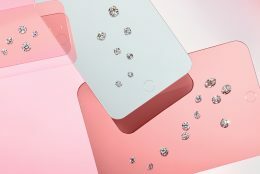 Don’t forget — you can view all of the emerald cut diamonds on JamesAllen.com in 360° HD at up to 40x SuperZoom. Ready to embrace the emerald? Find your emerald cut engagement ring. Once you’ve browsed our emerald aisle, let us know your fave in the comments below or on our social channels: Instagram, Facebook, Snapchat, or Twitter. 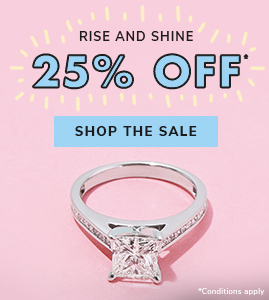 Discover additional diamond shapes: Round Cut Diamonds, Princess Cut Diamonds, Radiant Cut Diamonds, and Oval Cut Diamonds. 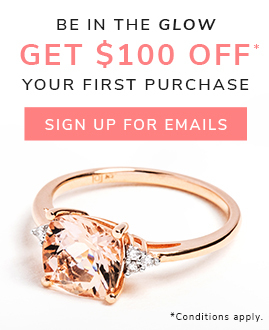 Subscribe to our email list for access to secret sales, practical ring-buying tips, and $100 off your first purchase! Jonny is passionate about puns, adores alliteration, and finds diamonds positively facet-nating! Since joining James Allen, he has written the word 'sparkle’ 9,732 times and counting.